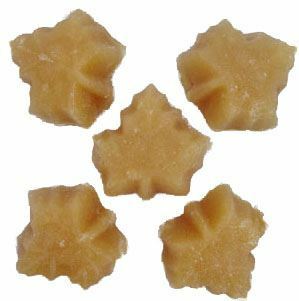 Maple Sugar Candy is a deliciously sweet maple product. Our candy is typically presented in 1.75 ounce packages containing five maple leaf shaped candies. Maple Candy is 100% pure maple syrup!